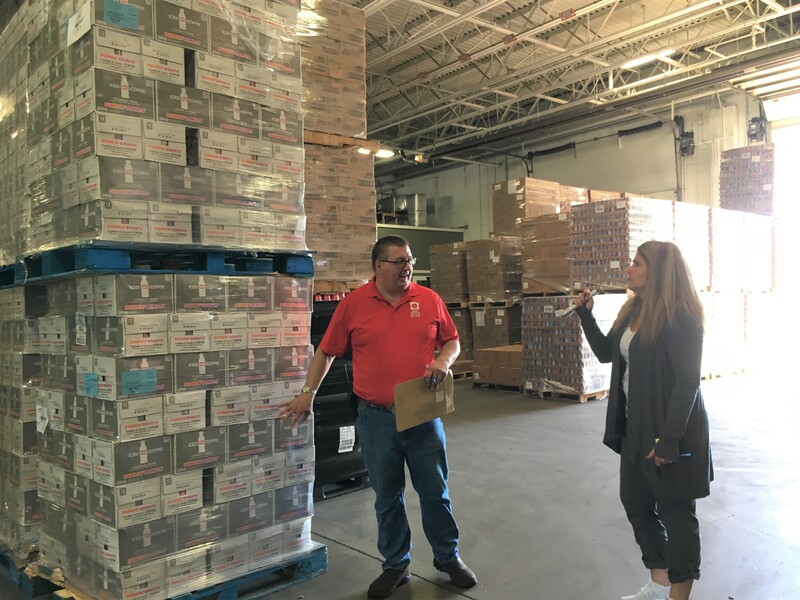 The Akron-Canton Regional Foodbank distributed more than 32.9 million pounds of food and other essential items to its eight-county service region last year. Handling and storing food and accepting food donations from several entities means the Foodbank must incorporate multiple operating procedures to guarantee first-class food safety standards. The Foodbank takes food safety very seriously. Nine staff members are certified managers in ServSafe training, a food and beverage safety program administered by the National Restaurant Association, specializing in food handler training. All Foodbank staff members must receive their ServSafe certification on an annual basis regardless of their role. The Foodbank holds weekly warehouse safety talks that highlight food safety topics including allergens, transportation, temperature controls, cleaning and pest control. It also conducts a monthly food safety audit that provides directives on changes that should be made throughout the warehouse along with preventive actions. Lastly, the Foodbank is audited annually by Feeding America, the nation’s largest domestic hunger-relief organization, or its preferred third-party company, AIB International. It’s also audited by the Ohio Department of Agriculture and the United States Department of Agriculture.